You will use our “Online Speaking Assessment Application” to do self-assessment of your spoken English proficiency, and will learn about your speech disfluency. Furthermore, you will learn how to fix the disfluency, and practice speaking online again, until you have possessed great speaking skills. You should be able to use a microphone for our site in Chrome. Prosody is a broad term that refers to several types of speech, such as stress/accent, intonation, and timing. Like grammar and vocabulary, prosody is also a significant element of precise, natural and concise speech.To teach students English prosodic patterns, first, we have students answer five questions while their answers are recorded. Second, we analyze the recorded answers and get the result report which details the students’ delivery aspects (fluency, intonation, stress, rhythm, pronunciation) as well as use (structure, vocabulary, development of ideas) of English language. We review the results and discuss the detected problems with students. If necessary, we introduce the concept of prosody and its importance in spoken English. Third, based on the test results, we introduce a series of practical teaching materials and recommend tailor-made activities such as listening and watching well-designed English videos in which lexical and prosodic stresses and boundary accents highlighted. It is because to address exact problems of each student and then the student can efficiently improve its spoken English proficiency. KEEP-SPEAKING, the fourth feature of our lessons, students use our online application and practice speaking, check their performance, consult with us until they hit desired proficiency level. It is online and user-friendly. After receiving a password, you log in to MYSOL website. The application records your answers and makes them available for analysis after getting your confirmation. You could log out anytime you wish and log in to the application later. Questions are grouped by level and topic. There are four levels: beginner, intermediate, advanced (general), and advanced (academic); and five themes: social science, leisure, natural science, IT and technology, and lifestyle. You can choose a level and your favorite topic. You are given five questions separately, and you have got one minute to answer each question. You could answer one question, get results of your speech assessment before going on the next question. specific problems and specific recommendation to fix the problems. Anyone who wants to take TOEFL, IELTS or other proficiency English language tests. Anyone who wants to improve its spoken English and to speak English fluently and accurately. My School of Language (MYSOL) is one of the most innovative language schools in Japan. The school grew out of an idea that “Practice Makes Perfect” and proficiency in both delivery and use of language are equally important in a global communication set. The school encompasses a wide range of programs such as English classes, speaking proficiency rating and improvement, standardised tests preparation, a variety of trips, excursions, sports and social activities. We also provide teaching training programs with our sophisticated software designed for non-native speakers, as well as foreign language programs, such as French and Chinese. 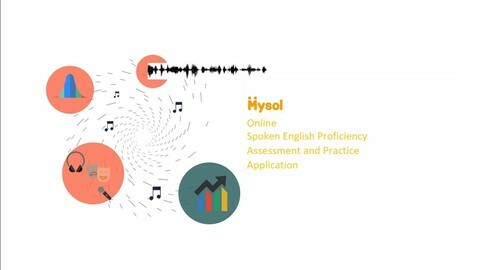 MYSOL’s unique interactive teaching model gives students and teachers tools to improve fluency and confidence in communication. Our team of researchers and innovators continues to research and study new and exciting ways to help students and teachers improve. MYSOL remains faithful to its original principles which are; to provide strong continuous learning environment, to advance international education, and to engineer the future for you.